PLUS SIZE NEWS: ERZULLIESTA ABI CHANG PART OF TOP 25 OF #NAVABICBA2013! 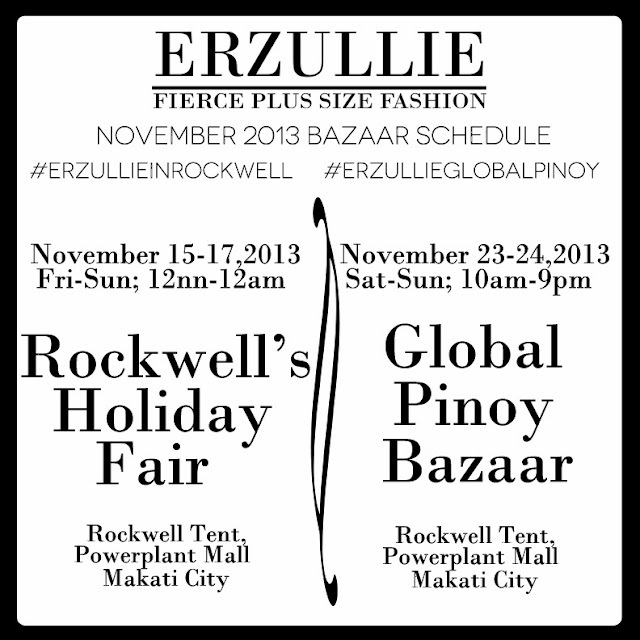 And another Erzulliesta raises her fierce flag! 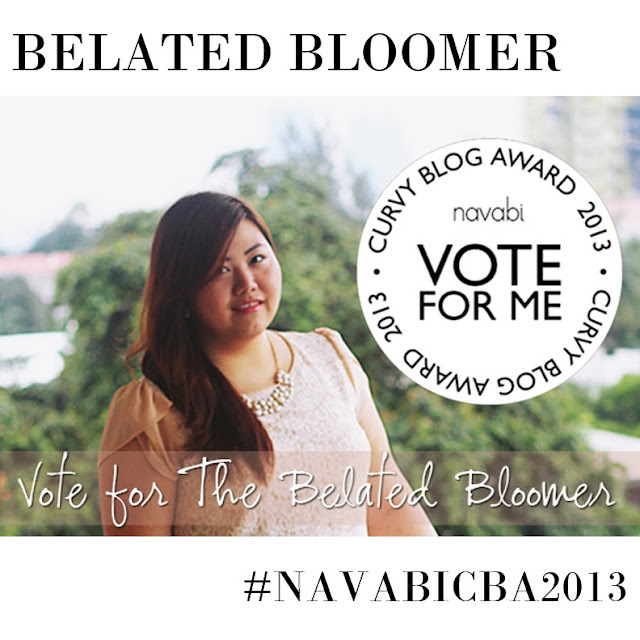 Abi Chang, blogger of Belated Bloomer, has just recently entered the Top 25 of the Curvy Blog Award and we are so proud! Why should you vote for her? Aside from getting awesome examples of practical and sophisticated plus size style, this Erzulliesta represents those who are just opening up to fashion as a way of unleashing their confidence and creativity. When it comes to exploring fashion, she says “It’s better late than never”! Furthermore, wouldn’t it be awesome if there were 2 Erzulliestas on the top 10? That’s double the fierceness right there! #2 Scroll down to entry no. 061 or simply search for "The Belated Bloomer". #3 Click on her photo and at the end of the page, click vote. 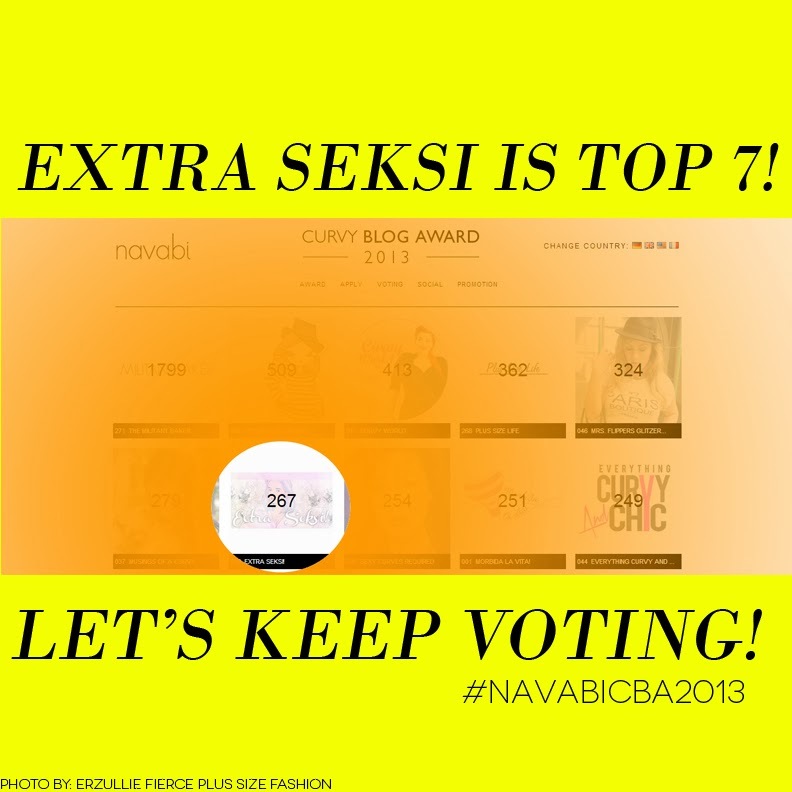 PLUS SIZE NEWS: ERZULLIESTA LORNADAHL TOP 7 AT #NAVABICBA2013! We would like to thank all of the Erzulliestas that voted! We ladies are about to make an important plus size fashion history by propelling our sister in fashion to be the First Erzulliesta-Filipina to win this prestigious plus size award! We are back in Rockwell, Erzulliestas! 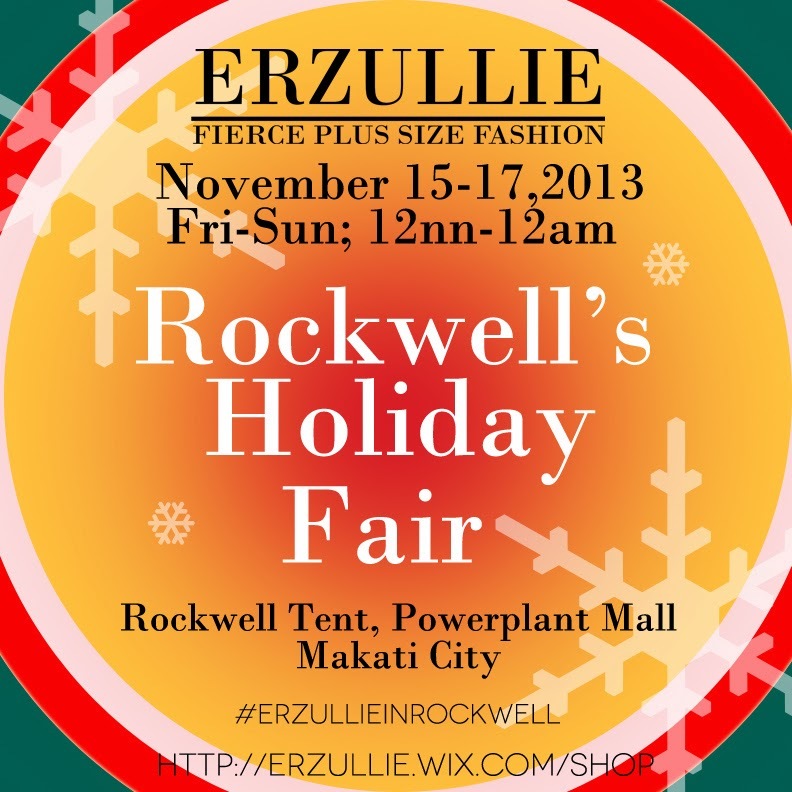 We’ll see you ladies at Rockwell’s Holiday Fair at the Rockwell Tent, Powerplant Mall, Makati City on November 15-17, 2013 (Friday to Sunday; 12nn to 12 am)! Enjoy shopping our latest demi-couture Holiday 2013 collection, free personal shopper service and of course, 50% off some of the past items! “The choice to see myself as a glamorous woman of size made me confident…"
It all starts with the belief in the self, ladies. You only need to know that you are worthy of your dreams --- whatever they may be. Why? Simply because self-worth is all about choosing it and then living it.